Services included in this annual license are access to the help support desk, limited onboarding assistance, and quarterly updates.Processes and procedures have been simplified and streamlined for ease of customer use. Your administrators will load and manage the master data into ProFile Planner, instead of the individual classroom teacher. The consistency of curriculum programming enabled by the software allows consistency in teaching, in spite of any staffing changes in the classroom. 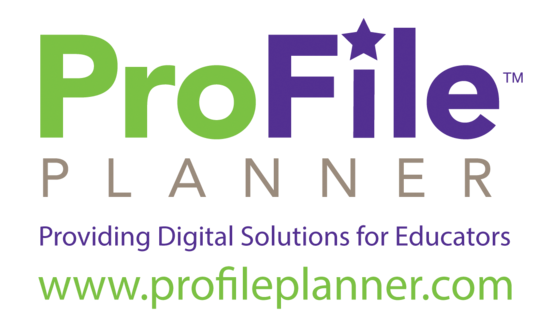 The ProFile Planner is sold on an annual subscription model based on the number of classrooms purchased. Enterprise-level pricing is available for university, union, agency and/or multi-center accounts and, along with requests for customization and branding, is determined based on the needs of the client and the scope of work to be done. Activities searchable by age group, content area, development area, instructions, interaction type, learning center, materials, etc. A content library of activities, videos and other related early childhood materials from other leading authors and publishers such as Discovery Video, Alpha Best and SAS Institute. One year subscription to the Learn Every Day Planner including all Learn Every Day Infant, Toddler, and Twos activities included in the three book set. We are proud to present Learn Every Day™: The Program for Infants, Toddlers, and Twos, this program is packed with tips, advice, strategies, and hundreds of activities to help you provide nurturing environments for infants, toddlers, and twos. Written by experts in the field of early learning, this program provides advice on infant development, working with children who have special needs, family engagement, and so much more. One year subscription to the Learn Every Day Planner including all Preschool Units and Activities included in the three book set. Based on the latest research of how children learn best, each of the 36 thematic units are aligned to Head Start Outcomes, School Readiness Goals, and State Early Childhood Standards! Learn Every Day™: The Preschool Curriculum can be used as a comprehensive or supplemental curriculum. If you are passionate about developing lesson plans that stimulate and engage young minds, the Learn Every Day Planner is for you! The Learn Every Day Planner minimizes planning time and maximizes resources for early childhood educators by combining the functionality of a planner with the convenience of the web. The subscription-based online service offers access to a wealth of resources while streamlining the lesson-planning process. The ever-expanding library of digital resources is developmentally appropriate and purposeful whether you educate in a home or day care setting, or coordinate curriculum for an entire school system. Features of the Learn Every Day Planner include more than 10,000 resources; such as activities, apps, books, music and videos, all integrated into an easy-to-use daily planning guide. These resources are accessible via a single search and may be quickly added to a lesson plan by clicking and dragging onto the Planner. A list of needed materials is automatically generated, eliminating the time usually required to prepare for a specific activity. Additionally, lesson plans may be electronically shared with principals or other administrators, as well as families, if the teacher chooses. --May be customized and archived and include clear directions and materials lists, as well as recommended books, music and apps.